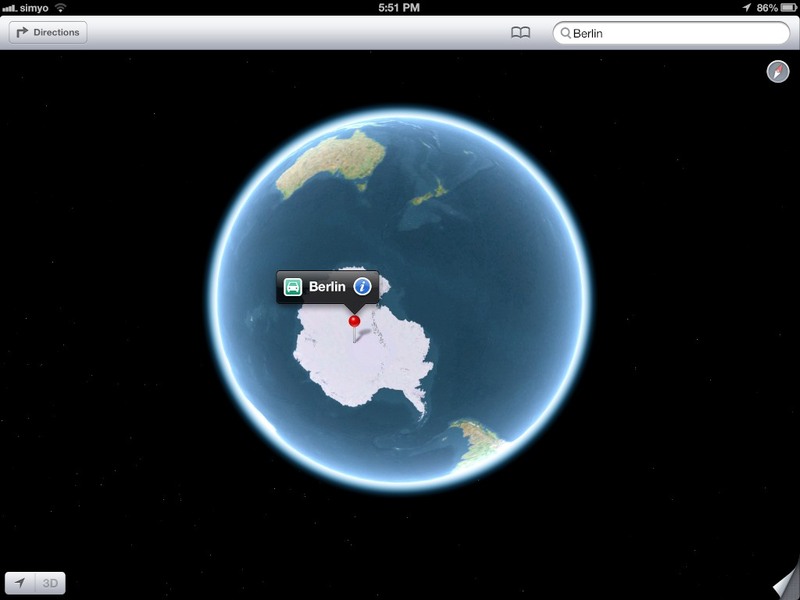 Home › iOS › iOS 6 Maps Flawed? Already there are websites dedicated to the many errors of the Maps app in iOS 6. Apple says it will get better, I say give it a chance it will onlg get better with use. Still this is humorous.